In 1976 ICRISAT started on-site trials at its headquarters in India and have since introduced watershed management across more than 300 locations across Asia and Africa. A science backed proven model is now well established which is a community driven holistic model. 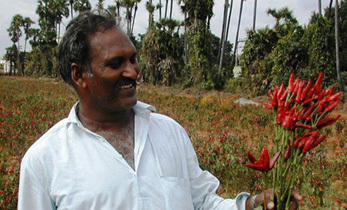 Kothapally watershed in Telangana state in India, is one of the communities ICRISAT worked closely with starting in 1999. Key to the success has been ensuring the community is empowered to drive the innovations with ICRISAT taking a catalyst role and providing the scientific backing to all the interventions. Over the decades, the village has prospered and a holistic approach developed as more innovations were introduced. These started with water and soil management and improved crop varieties and diversity on farm, and later expanded to include livestock integration, linking farmers to markets, building alternative livelihoods, wastewater treatment, self-sustaining filtered drinking water, and more. 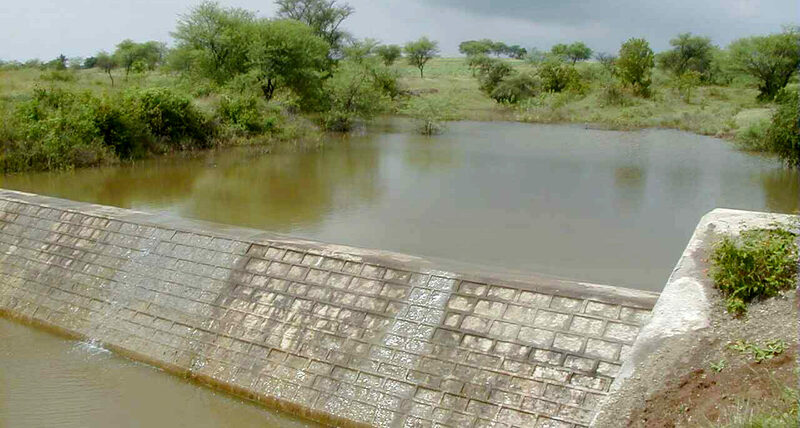 Along with the recognition of Climate Change, other interventions and scientific approaches were needed to be introduced to watershed management. The drylands in particular are to be most affected by climate change, becoming hotter and worsening droughts and even floods. Kothapally site incorporated weather management controls and school children were even engaged and taught how to record changes. 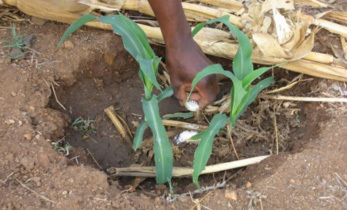 Through capacity building, farmers are able to make better on-farm decisions. Once a proven model was in place, the next challenge to take on was how to do this on a large scale. First the Kothapally model was taken to 28 more regions in four other states in India (Andhra Pradesh, Karnataka, Madhya Pradesh and Rajasthan). More areas are now being reached as many companies focusing their CSR in rural areas are concerned about the extreme water scarcity in the drylands of India, which covers more than 60% of the farmed area. 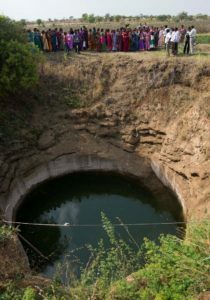 ICRISAT is working in more than sixty villages in India implementing watershed management for companies. 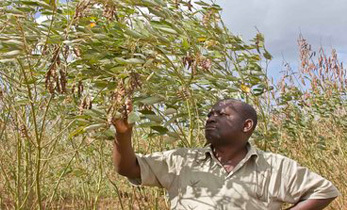 However, ICRISAT sees the future for CSR in forming clusters to create broader watershed areas and achieve more impact from the same resources, coupled with taking a more holistic approach to agricultural development, looking at the whole value chain and facilitating developments from water management all the way through to market linkages. The biggest challenge in watershed management came when ICRISAT was tasked with reaching 4.3 million farmers in Karnataka state within three years (2009-12) with the aim of increasing productivity 5% every year. Watershed had to be only one part of the solution and a holistic approach to agricultural development taken. Although the principles of being community driven and having science backed solutions were the same, new communications technologies were needed to reach and engage so many farmers. 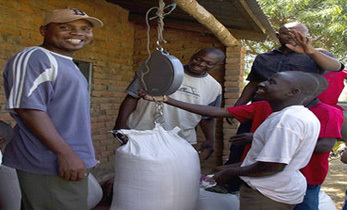 10,000 farmers were trained to be farmer facilitators – a type of farmer-led extension service. They were paid a nominal fee by the government to take on this additional role and as part of this they were provided tablets with customized information for their area to share with farmers. 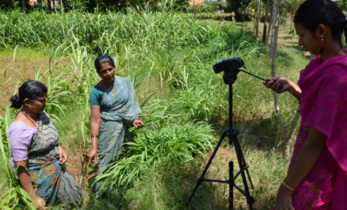 The farmer facilitators also produced video interviews with farmers and ensured interactive video sessions throughout villages to show successful technologies. 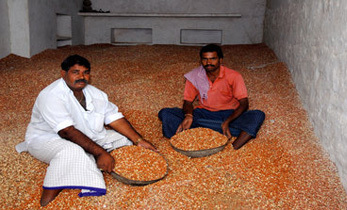 Mobile based voice and text messages were also part of the communications to farmers. The huge success has led to the Government of Karnataka supporting a second phase (2013-17) to reach five million famers aiming to increase productivity 20%. 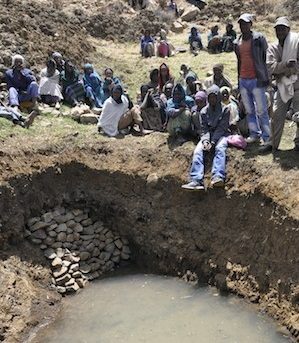 Although watershed developments had been introduced many years ago in Ethiopia, these were mostly seen as environmental projects to protect the natural resources. 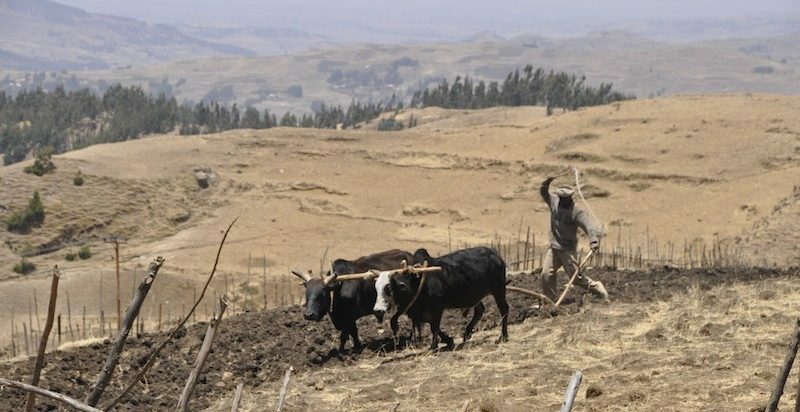 ICRISAT added a whole new dimension in Ethiopia by integrating agricultural development. This site is now becoming a learning site and a show case where extension agents are getting trained and policy makers learn the costs and benefits of integrated watershed management. 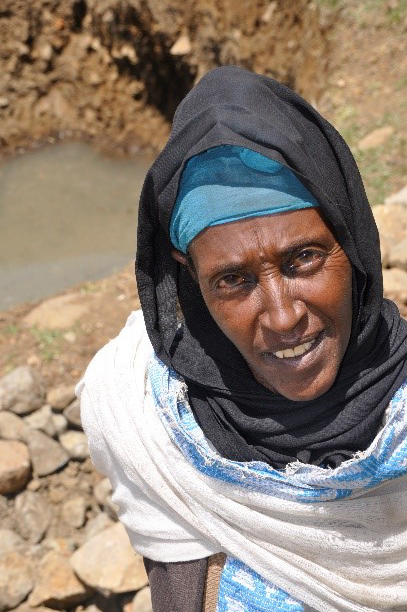 This same community was awarded 1 million birr (about 50,000 USD) by the regional government to continue improving their watershed and production systems. With four decades of lessons learnt and proven successful approaches, we now just need to reach more areas and more people, especially in the drylands, where 2.5 billion people live.